British Columbia is full of charming towns that would be perfect for a road trip, family vacation and even a girls getaway! One of those towns is Cowichan. Recently I had the chance to go a little getaway with my girl Raj and we went on quite the adventure in Cowichan. One of our favourite parts of the trip was the food! Who knew that there were so many amazing places to eat in Cowichan? In fact, it would make the perfect foodie getaway too! Our first breakfast experience was at a hidden gem called The Old Fork. We were a bit unsure about how the food would be when we found out it was located inside a Ramada, but one taste made all those reservations go away. 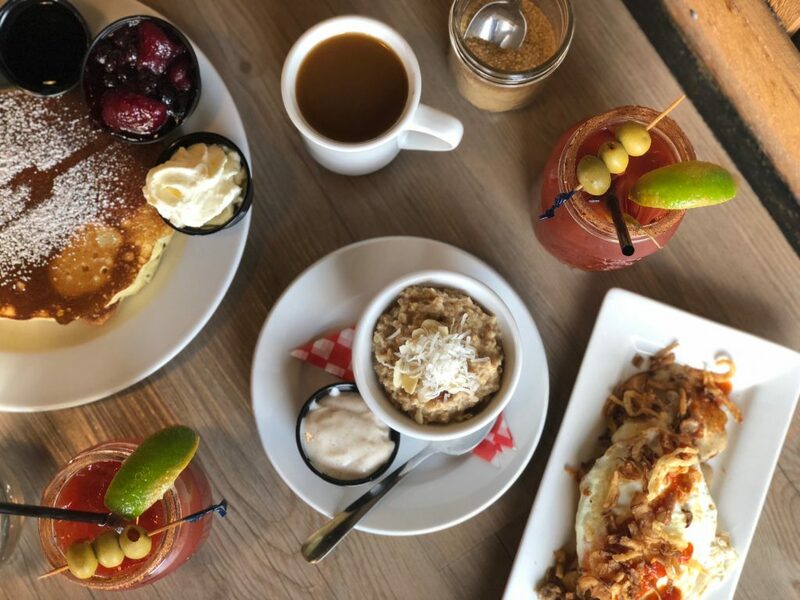 Run by a wonderful husband-wife team, The Old Fork’s menu is comfort food at it’s best with everything made right in the kitchen, down to their hot sauce! We kind of wanted to eat everything on their menu, but we tried to control ourselves, a little. We asked for some smaller portions of some items so at least we could try everything. The breakfast poutine and Caesar’s were probably the best I’ve ever tasted! Also delicious was the Early Grey oatmeal, the huevos rancheros and of course no breakfast is complete without pancakes, am I right? Next time around I want to try one of their gourmet burgers and the breakfast banana split! 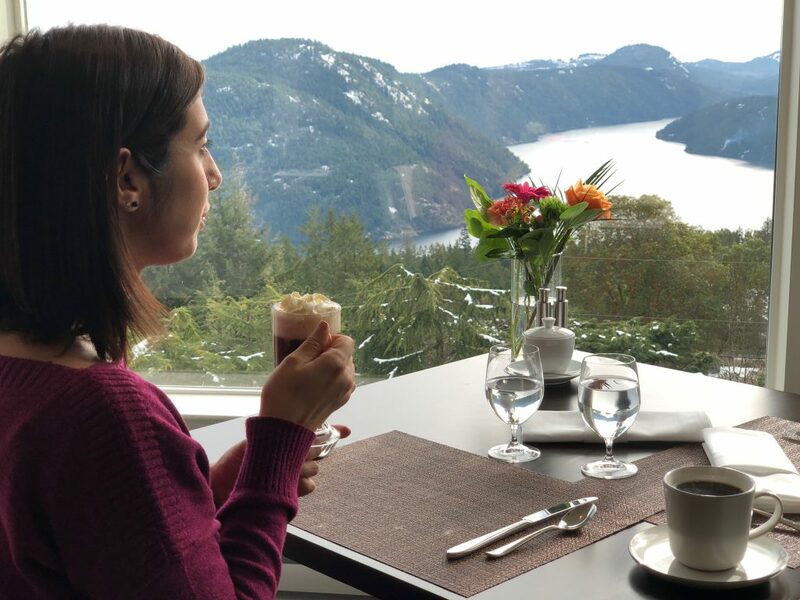 Since we are already talking about breakfast, another fabulous breakfast we had was at Villa Eyrie Resort at their Summit Restaurant, where we actually stayed for one night on our girls getaway. It is definitely one of the places to eat in Cowichan that I would recommend. Alongside their million dollar view, the restaurant at the Villa served one of the best breakfasts and brunch I’ve ever eaten! 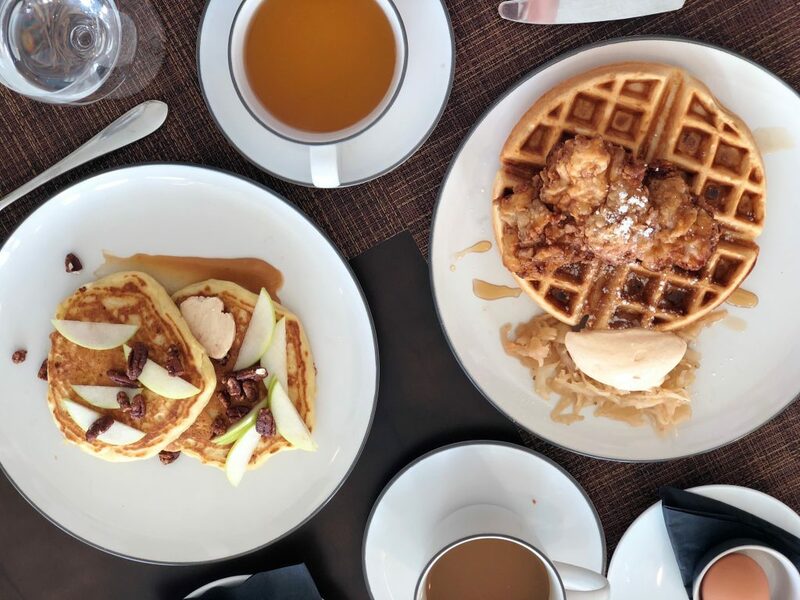 On their breakfast menu were two things that I’d never tried before, chicken and waffles as well as ricotta pancakes. We decided to order both and all I can say is…wow. The chicken and waffles came with fermented cabbage, carrot whipped cream and chilli maple honey. The ricotta pancakes were topped with charred apple butter, cinnamon crème fraîche, fresh apple, maple toasted pecans. I’m getting hungry just remembering. 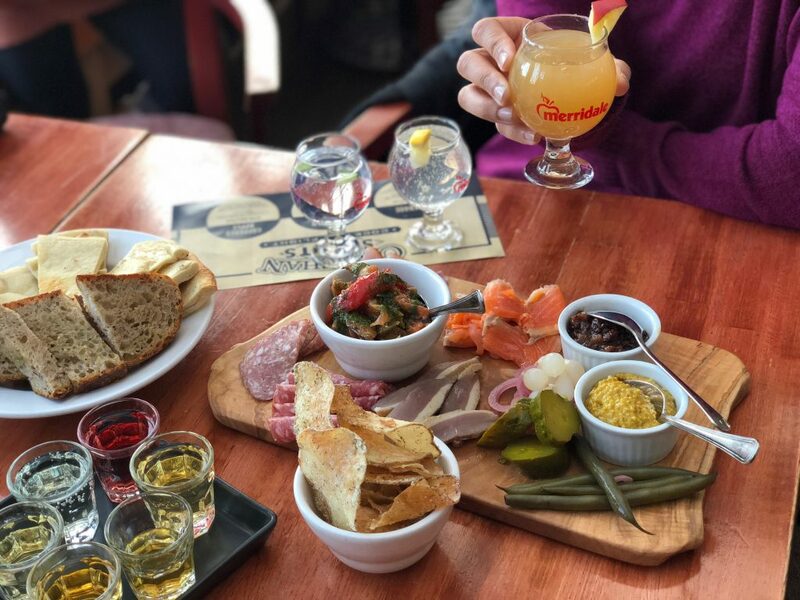 Eat, Drink & Be Meri is their tag line and Merridale Cidery was all that and more. We sat down and chatted with the husband and wife team that run the cidery and we had such a great time. Along with a little tour of the distillery and farm to table experience, we also got to do some tastings ourselves. Merridale makes its own cider, vodka and gin and they served us some wonderful cocktails along with a charcuterie board (I learned a new word from Raj on this trip too!) Next time I’d love to experience one of their Sunday pizza nights; they are supposed to be legendary! One of our favourite dinner experiences was at Unsworth Vineyard. Along with having a wine tasting room and tours of the vineyard, there is also a restaurant on site for visitors to enjoy. For this meal, I decided to try some new dishes and my palate was pleasantly surprised. From the menu, I would recommend the polenta fries, the mushroom risotto, the cod on toast and of course the desserts! Next time around we definitely want to try the cheese plate. And of course you can’t forget the wine. This was the last stop on our girls trip and we were so glad we got to experience it. As the first of its kind in Canada, Westholme Tea Company is situated on a fertile landscape which creates a unique micro climate that actually fosters the growth of their unique tea plants. We were able to tour the land as well as try two of their tea experiences in handmade ceramics pots and cups that are made on site. 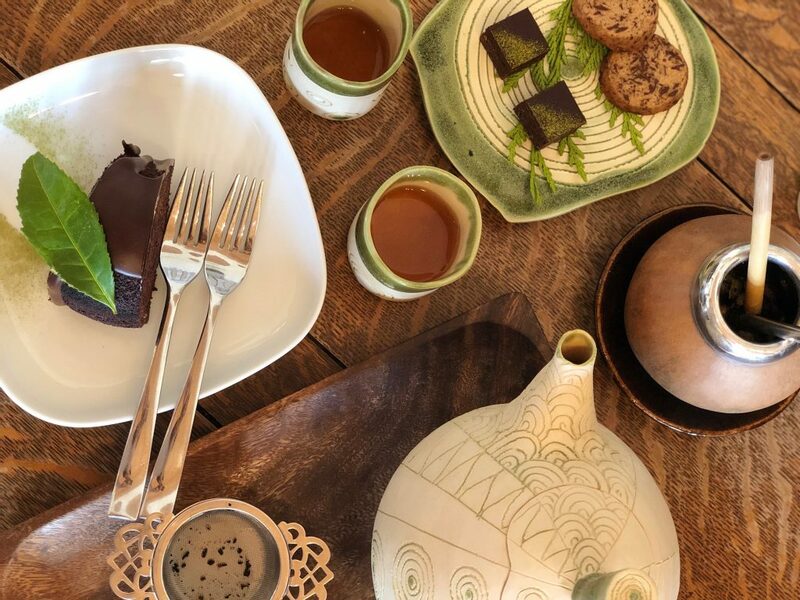 We also got to eat some of the wonderful sweets and treats on their menu like the Earl Grey Chocolate Cake to the Chai Chocolate Wafters and Raw Chocolate Brownies. Part of the experience is showing how tea can not only be drunk but used in foods as well. It was such a zen experiences and we could have honestly spent hours there without even realizing. Run by another husband-wife team, the Westholme Tea Company has really created something unique that is a must experience for tea lovers. We were scheduled for lunch at the famous pizzeria, but snowy weather changed our travel plans from a 20 minute heljet ride to a little longer 2.5 hour ferry ride and that thwarted our pizza plans unfortunately. It is on our list of places to eat in Cowichan for our next trip! The pizzeria is well known for it’s Italian style fire roasted thin crust pizzas that we can’t wait to try. Those were my 6 Favourite Places to Eat in Cowichan and I would highly recommend all of them! 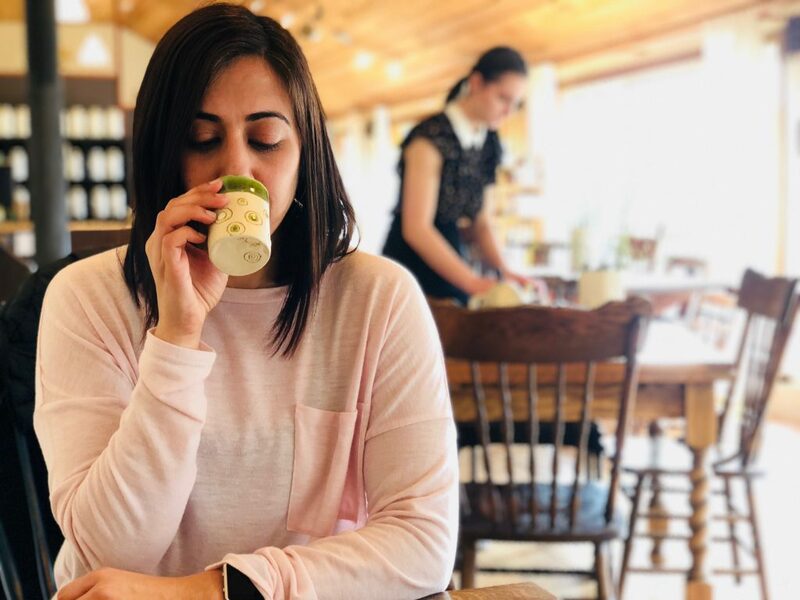 Of course we did more than just eat in this hidden British Columbia gem and I will be sharing it all with you soon, so make sure to check back for that! 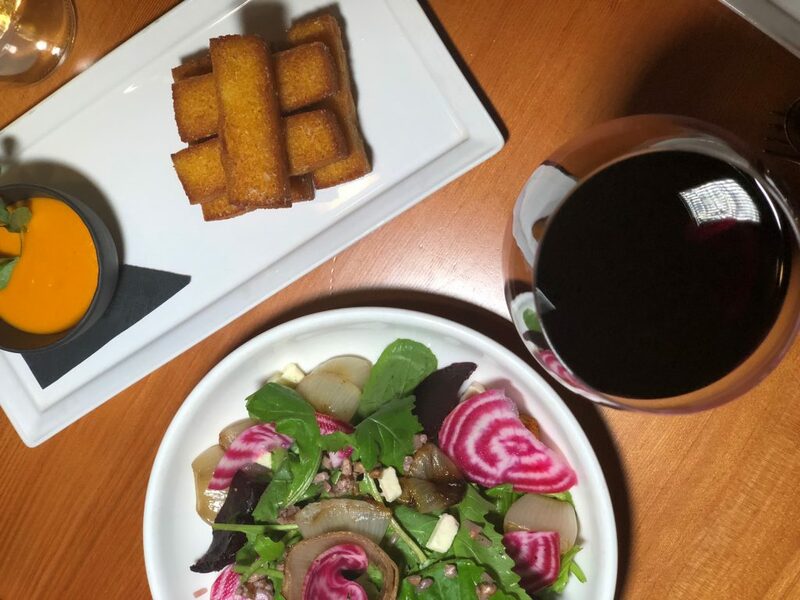 If you’re a big foodie, you’ll want to check out our last girls trip in Victoria and all the places you should eat there! *A big thank you to Cowichan Tourism for planning such a wonderful girls trip for us! Sounds like you did not go hungry in Cowichan. lol I’m bookmarking this page for future visits to Vancouver Island. Thanks for all the great suggestions. I have yet to travel to BC! All these places look lovely. Wow I don’t even know what I’d eat from this list if I went – it all looks so good! All the food piks are making me hungry especially those pancakes.We also like to enjoy different foods when we are on vacation. What a shame you didn’t try Hudson’t on First, too! It’s an amazing find in such a tiny place. My guess is you’d be surprised and delighted. Maybe next time? seems like it was such a great and diverse experience with little bit of everything. The wine bar and Hudson’s on 1st both 2 great places should be on this list! The atmosphere the food and the amazing staff!